We can filter and purify your water to a safe state allowing your family to drink clean water straight from the tap. Let us custom design a water filtration system that best suits all your water quality needs. 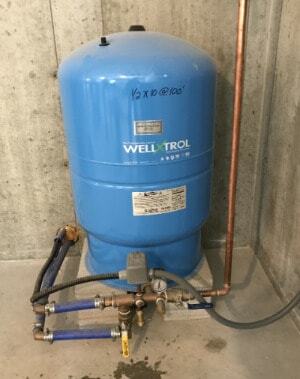 Water purification systems for homes with wells come in a number of different sizes and types, with a number of different applications, to ensure the water in your Maine home remains as clean and healthy as possible. But deciding which water filtration system is right for your home and circumstances can be difficult. Are you looking to treat foul odors or tastes or remove harmful contaminants from your water? Is your water cloudy or leaving stains behind in sinks, showers, and bathtubs? With over 31 years providing trusted solutions to any water problem you could imagine, the professionals at Beaver Hill Well & Pump have the experience and expertise to help you choose which water filtration system is right for you. Activated Carbon Water Filters – These filters remove large particles of contaminants from water, such as silt and sediment, and can result in better tasting water due to the reduction of chlorine. Reverse Osmosis Filters – Perhaps the most complex and all-consuming water purification system for homes with wells, the reverse osmosis process removes a wide range of contaminants that are harmful for human and animal ingestion. Ultraviolet Filters – An environmentally friendly filter that destroys toxic bacteria with ultraviolet radiation. Backwashing Filters– Configured to treat your home’s specific water problems, whether neutralizing acidic water, removing chlorine, or eliminating iron and nuisance particles. Whether you’re seeking a whole-house, point-of-entry water filtration system that can give you the benefits of clean water with additional softening capabilities, or you’re on a city well and looking to reduce the amount of chlorine from the municipality’s water treatment process, Beaver Hill Well and Pump is committed to helping you and your family enjoy the clearest, cleanest, and safest water possible. Schedule a Water Filtration Consultation! To learn more about water filtration systems for wells, call us at 207-324-1645.